You can also check this by calling Division for Tax Exempt and Government Entities, part of the IRS Account Services, you’ll need to call this number: 877) 829-5500. Call is going to be toll-free. 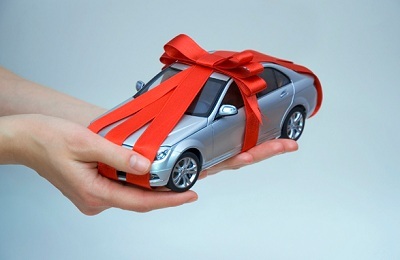 If you decide to give your car to charity, your tax deduction can’t be bigger than 50% of your gross income. It also can’t be bigger than fair market value of the car you are donating. In some cases this can be smaller than the counted Blue Book value that you can find on used cars web sites, as well as this one. What’s a Fair Market Value of a Car? Technically it is the amount of money that a willing buyer is ready to give and a willing seller is ready to receive for the car in question. So this figure might be smaller from the Blue Book value, since online Blue Book calculators don’t dig too deep, unlike possible buyers. If your car need some reparations from the inside or the outside for example that lowers its value for the cost of these and the tax deduction you are going to get for donating a car like that would be a Blue Book value, minus the cost of the reparations. – if the organizations provided you with religious benefits only, for donating your car, you’ll need their statement that confirms this was the case. 3. Written appraisal- you’ll need this only if you are claiming tax deduction higher than $5,000. This needs to be written by qualified appraisal in no more than 60 days before donating your car. So How Big Tax Deduction Do I Get? If your vehicle is worth $500 or less this is the tax deduction you are going to get. If your vehicle’s more expensive, your tax deduction depends on the price the charity organization is going to sell your vehicle for. You should contact the charity organization you donated your car to, find out the price they sold it for and than claim that amount. Charity organization can decide to keep your car and use it for their everyday business. If this happens your tax deduction is going to be the same as the fair market value of the car. Same goes if charity decides to sell the vehicle for a small price to a needy individual, often a person in desperate need for transportation.